Are you looking to utilize mass gainer because you’re tired of being skinny and want to put on weight and build muscles finally? If you answered yes, you probably believe in mass gainers that they are essential for anyone who wants to get bigger. How Does Mass Gainers Work? Honestly, it is a little bit tricky to respond to- do mass gainers work? The mass gainers do add a great number of calories along with essential vitamins, but the amount of weight that it will add to your body and how long will it take to obtain the desired level, relies on the individual’s body metabolism rate. It is a simple formula, if you take more calories than your body needs, the body gets an opportunity to store those calories and obviously, you will put on weight. But it should be remarked that one should take the mass gainers regularly with the usual exercise routine. Else, instead of building muscles, one might end up accumulating body fat. The mass gainers are a ready-made rich source of carbohydrates, fibers, and proteins; which do fulfill the nutritional requirement of our body. To understand more about the benefits of mass gainer, kindly visit our post on mass gainer and its benefits. So, Folks, I tried to compile the information about the mass gainers and associated perceptions prevailing in the fitness industry through interlinked articles. Hope you find these useful. Pick The Right Product For Your Needs. Mass Gainers are produced, packaged and also sold in the same way as most few other supplements, but in reality, they are just an appropriate way of taking more calories. Therefore before taking any decision if purchasing a mass gainer is a sensible investment, you generally require to be brutally honest with yourself and assure there are no obvious gaps in your diet and nutritional regime. Can you sincerely say it’s impracticable to prepare and fit in another meal in your diet, improve your portion sizes or substitute in some calorie dense snacks throughout the day like nuts, seeds or whole milk? If the result is yes, then a mass gaining supplement is likely the best option, otherwise, try making some small nutritional changes first then re-assess if a gainer protein is for you. You require to be in a caloric surplus to put on size, whether that comes from whole food or a mixture of whole food and mass gainer shakes is an individual preference. If you find yourself lacking to meet extreme daily calorie conditions and the scale still won’t budge adding 2-3 servings of a weight gainer shake per day can assist you to efficiently and effectively exceed those specifications. Now, I’m not telling that all Muscle Mass Gainers are simply empty promises, but you do require to be a little consumer savvy when selecting the right product that will provide you the results you are after. The real ‘magic’ comes down to the nutritional breakdown of the product and how that fits into your complete nutrition plan and caloric needs. 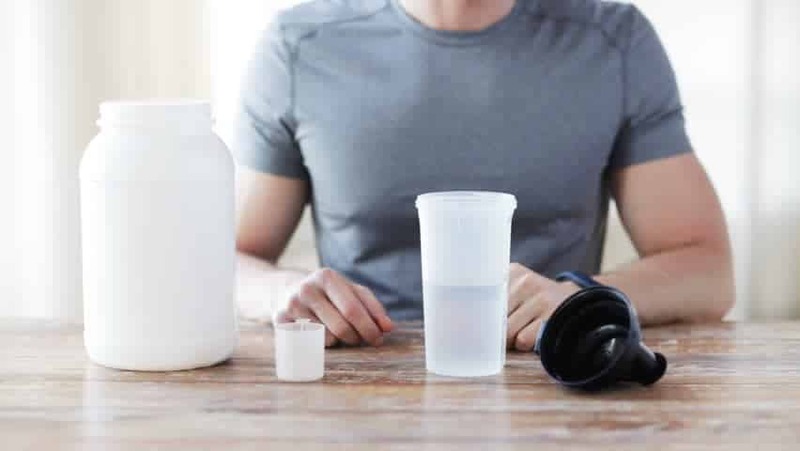 An initial step in choosing a Big Muscle Mass Gainer should be to consider how many numbers of calories are contained in a full serving of the product and the breakdown of protein, carbohydrates, and fat that make up those calories. Basically, you want a product that contains 40g-50g of protein per serve comprised of whey isolate, whey protein concentrate, casein or a blend of complete three to assist with maximizing muscle protein synthesis and nitrogen balance. Fats are particularly helpful when looking to support enhances in body weight, particularly considering every 1 gram of fat contains few calories they are a given addition to any type of mass gainer supplement. The amount of fat can vary greatly from one product to other product and it’s essential to choose appropriately for your requirements and the times of day you are planning on utilizing the product. Stick to products that use blends of Essential Fatty Acids (EFA’s), Medium Chain Triglycerides (MCT’s) and also few saturated fats that are essential for the body’s hormone production. Enhancing your intake of these healthy fats helps in supporting expanded testosterone production resulting in greater gains in strength and eventually more lean muscle. Typically most of the mass gainers are filled with a high number of carbohydrates to match daily caloric requirements and provide the fuel and energy that supports training and recovery from workouts. A conservative mass gainer will typically consist a 1:1 ratio of protein to carbohydrates, but few products go way beyond this pushing beyond a 1:5 ratio, so if a one serve holds 50 grams of protein the carbohydrate content may well be above 250 grams of carbs! Relying on your sensitivity to sugars and the times of day you plan on taking you shakes, it would be wise to choose products that contain particular carbohydrate types that will work for you not against you, more on that next. Certainly, all types of Mass Gainers will work provided they are in fact allowing you to meet your daily caloric needs, however certain products will be more optimal than others depending on your individual body type, dietary needs and how you plan on incorporating a mass gainer into your overall nutritional plan. What Are The Reasons To Use Mass Gainer? 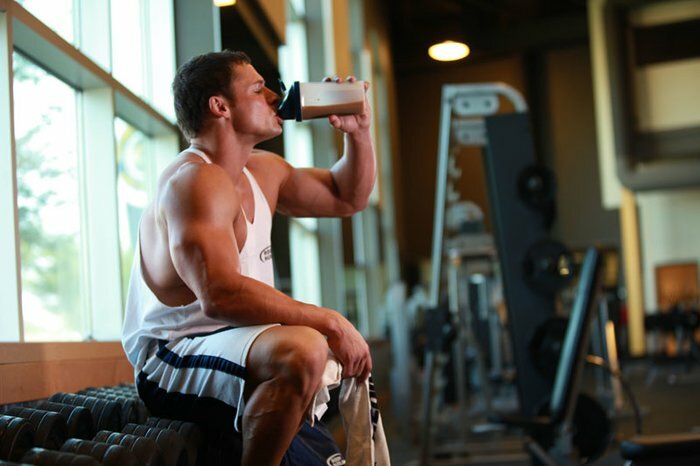 There are more reasons why you shouldn’t hesitate to buy a mass gainer protein supplement. Let’s take a look at five of the most important reasons why you should use this type of nutritional supplements. Adding a mass gainer protein in your daily routine is a good way to increase your daily calorie and macronutrient intake without having to eat more than you are used to. By consuming mass gainer protein shake prepared with water or milk, you intake nutrients that are proven to be good and useful for your body without taking in harmful fats that might cause health problems. Mass gainer supplements contain specially formulated fats that help you gain muscle mass but stay leaner. These are not the same type of saturated fats that get accumulated under your skin in places such as your stomach. The special dietary fats contained in the protein supplement have a valuable macronutrient value and are easily digestible. With this being said, it is a much better idea to use this type of fitness supplements rather than to eat caloric food that contains high amounts of saturated fats and harmful triglycerides that can get easily accumulated in your blood vessels. Consuming mass gainer protein shake after the workout is a convenient way to supply your body with sufficient energy and fuel. This is also important for preventing muscle breakage and help the muscle mass recover after an intensive workout. Moreover, the calories, small amount of carbohydrates and fats are easily digested and do not cause an instant spike of your blood sugar level. You can choose mass gainer supplement with a calorie content based on your actual needs and requirements. For instance, if you don’t have the tendency to indigestion of high amounts of calories then you can choose mass gainer protein with a smaller volume of calories. Generally speaking, these supplements come in a range from four to nine hundred calories. This gives you the possibility to choose the most appropriate supplement for your specific needs and requirements. The sincere truth is that most of the mass gainers hold carbs that will cause an insulin spike and thus head to unwanted fat storage. Whereas on the contrary, few whey protein supplements fuel your body with what it requires the most – Pure protein. So, if your goal is to build muscles and enhance strength, it’s suggested to choose whey protein instead of mass gainer. What Is The Difference Between Mass Gainer And Whey Protein? The major difference between a protein powder and a mass gainer is the calorie content and its composition. A plain protein powder contains 100 -150 calories while a mass gainer can go up to 300 – 1200 calories or even more. Protein powder either has whey, soy base with added amino acids and very fewer carbs and fat. Whereas mass gainers have carbs double the protein content. The fat content in mass gainers is more than in protein powder. 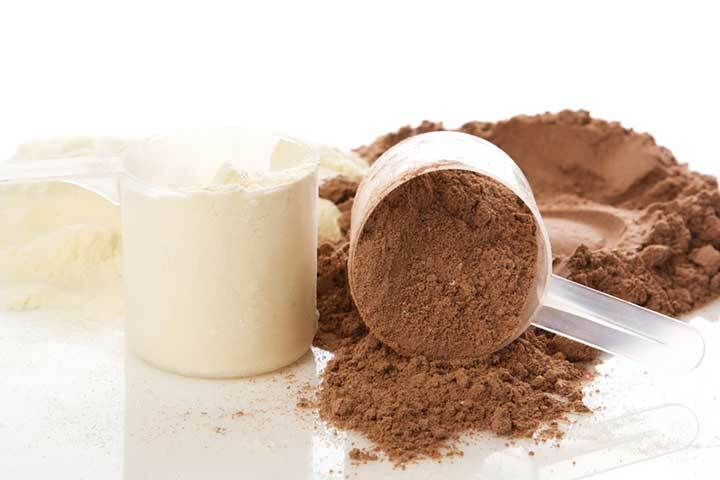 Protein powders are recommended if the goal is to build muscles and increase strength. Mass gainers are recommended if there is no muscle building even after a heavy workout regime. To have lean look use protein powder and for bulky look mass, the gainer is perfect. If you are wondering what will be better if in mass gainer vs whey protein powder when it comes to weight loss? Well, Protein powders have added the benefit of weight loss whereas mass gainers promote weight gain. So if you have that little paunch and want to lose fat from tummy and build up your body mass, Protein powders are what you need. Mass gainer vs whey protein powder have their own purposes. But, whey protein supplements have the upper hand compared to mass gainers. In long run, a proper diet plan advised by a professional along with a suitable workout regime is more beneficial. This entry was posted in Immune System, Weight Management. Bookmark the permalink.